Big Fantasy Year Looming For Willie Snead? New Orleans Saints’ wide receiver Willie Snead had a good season in 2016, hauling in 72 receptions for 895 yards and 4 touchdowns. This came even with the emergence of rookie wide receiver Michael Thomas and another 1000 yard performance by recently departed wide receiver Brandin Cooks. In standard scoring leagues, Snead finished as the 35th ranked wide receiver. In PPR, Snead ranked 32nd. This performance outdid his 2016 ADP, where his ADP sat at 10.03, or the 44th wide receiver off the board. Those who drafted Snead were not disappointed in his 2016 season, outperforming his ADP and looking like a solid WR2 option in fantasy. Snead is currently sitting at an average draft position of 6.09 overall in 12-team standard mock drafts. Snead is the 30th wide receiver off the boards. Over the past month, Snead’s stock has risen in value, going from an early round 7 ADP to a later round 6 ADP (7.02 to 6.09). This falls in line with the rest of Snead’s ADP this offseason, who started in March as a 12.01 ADP. 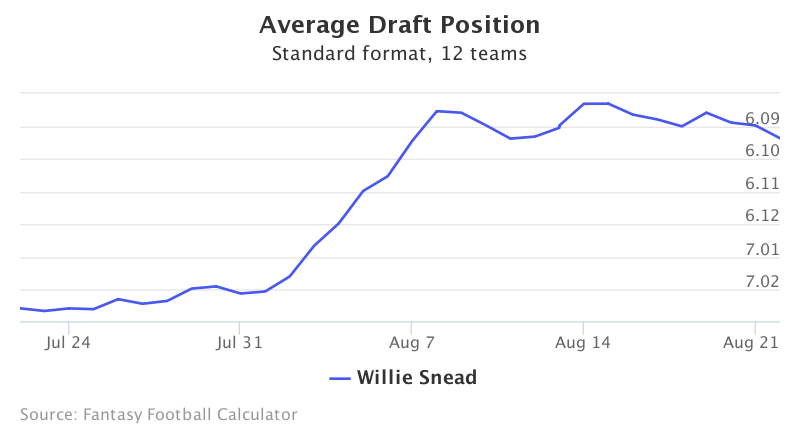 Once Cooks was traded, Snead’s ADP has skyrocketed all the way to where he sits now at 6.09. Out of 32 teams, only a few have a quarterback capable of having multiple fantasy relevant wide receivers. Drew Brees and the Saints are one of those teams. Brees threw 673 times for 5,208 yards and 37 touchdowns last year. 117 of those targets went to Cooks, who was traded to New England this past offseason. 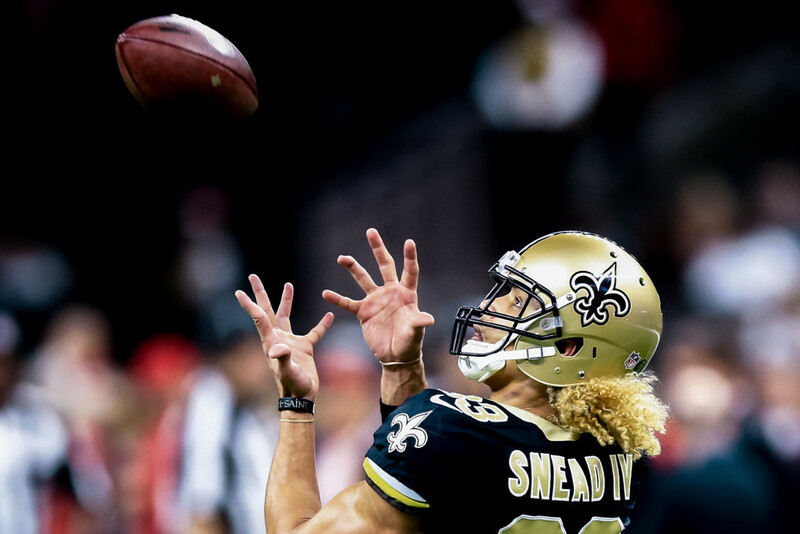 No noteworthy wide receivers or tight ends were signed, meaning a good percentage of those targets will go to Snead, who already was targeted 104 times in 2016. Snead therefore could easily see upwards of 115-130 targets. This could be the year Snead finally eclipses the 1000 yard receiving mark. He also has a good health record, only missing part of 1 game last year for a toe injury. Willie Snead is currently being drafted at 6.09 in 12-team standard mock drafts, good for a low end WR2. Snead finished last year as the 35th ranked wide receiver, even while being the 3rd wide receiver (once Michael Thomas took off) on the Saints. With Brandin Cooks gone, Snead, who is in his 3rd year in the NFL, could exceed current ADP, making him a very interesting target in this year’s fantasy drafts.